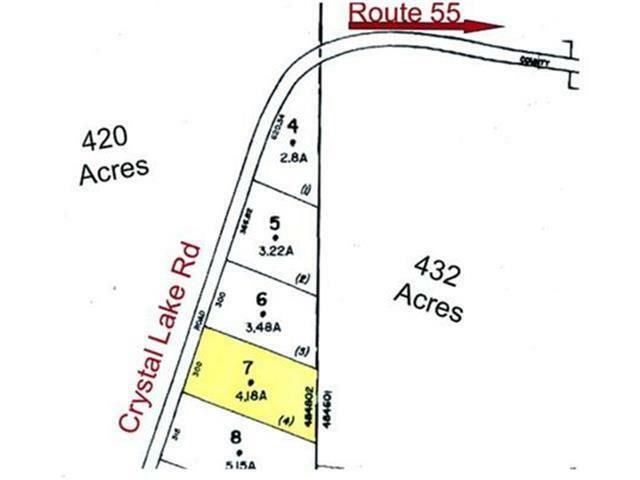 Beautiful, dry, level 4.18 acre building lot in a very nice location within the Township of Bethel. Very quiet and peaceful, large parcel of land to the rear and large parcel of land across the road. Several newer homes recently built along Crystal Lake Rd, great for future comps. Located about 5 minutes from White Lake and Bethel Woods.